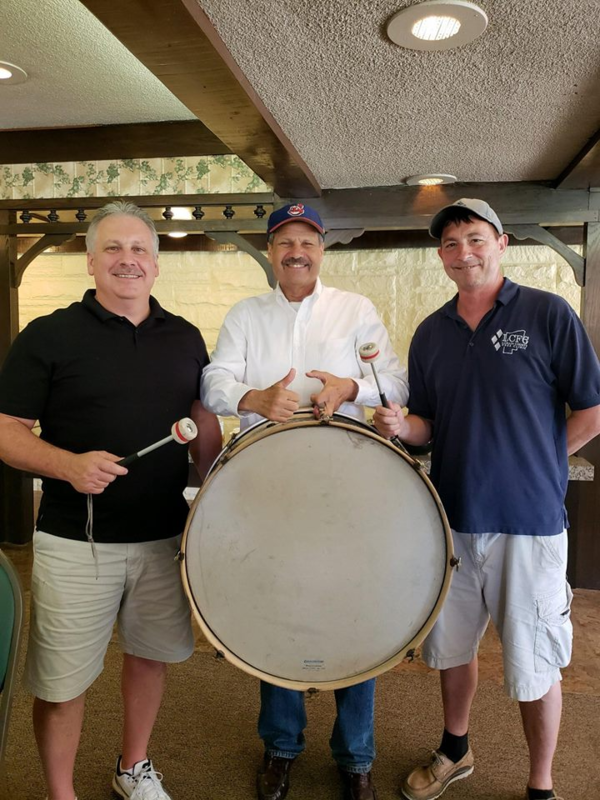 Longtime “Indians fan drummer”, John Adams made a surprise special guest appearance at our Golf Benefit on July 20th. John graciously donated 4 tickets to our raffle for any upcoming game to sit with him in center field. We dodged the rain, and over 80 attendees enjoyed our Bloody Mary Bar, Lunch, Golf and Steak Dinner! Thanks to all of Sponsors, Donor Merchants, Volunteers and Golfers! Previous LinkJason’s StoryNext LinkWelcome Donald Halliday!